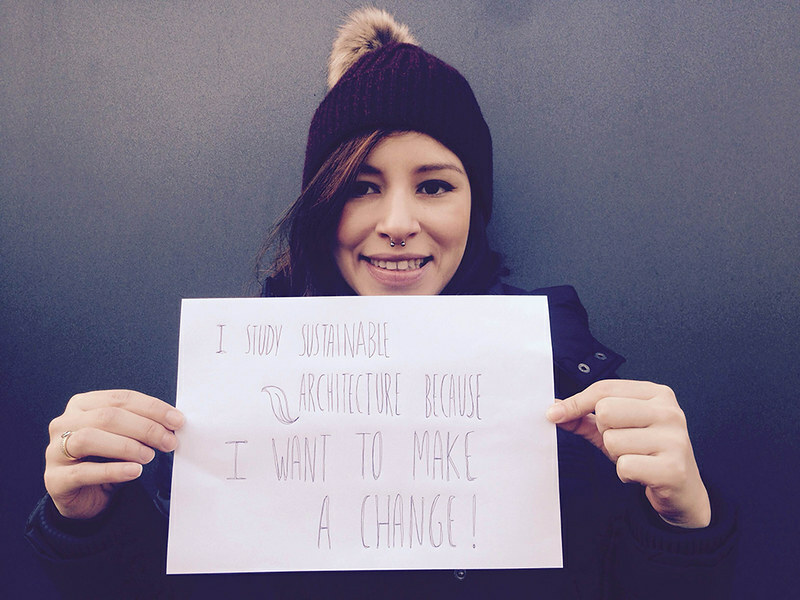 The interdisciplinary MSc in Sustainable Architecture Studies programme provides research-led learning and teaching. It will inspire and enable you to pursue innovative research and design strategies for the built environment. Driven by the ethos of global stewardship and positive regeneration; you will be involved in promoting sustainable architecture, with the aim of transforming the built environment for a more equitable future. Your work in the design studio is supported through lectures, seminars, tutorials and practical computer work. Collaborations with local, national and global partners enrich the learning experience. Lecturers and supervisors have research expertise in lighting, modelling, building performance, parametric design and materials with low embodied carbon. Combining social and technical aspects of sustainable architecture this programme focuses on exploring sustainability through design with dedicated studio modules. Many of our students have already worked in professional practice after completing four or five years of architectural training and recognise the benefits of advancing their knowledge and skills at a School which has an excellent reputation for both teaching and research. I’m very grateful to the SSoA for the year I studied there and I particularly recommend this School to anyone who is especially interested in social and environmental aspects of architectural design. By the end of the programme graduates will possess skills to produce complex design proposals which adopt a holistic approach to design and address the social, economic and environmental aspects of sustainable architecture. The MSc in Sustainable Architecture Studies provides a foundation for those wishing to go on to further research which may influence national and international agendas and for those wanting to pursue leadership roles in the design of a sustainable built environment. The MSc in Sustainable Architecture Studies is organised on a modular credit system. The MSc is awarded upon successful completion of five core modules (90 credits), two optional modules (30 credits) and the research module (60 credits). The total 180 credits may be completed in twelve months of full-time study (September – September). It is also available on a part-time basis, normally over a period of twenty-four months. The part-time route is designed to enable practitioners to join the programme for one to two days per week during the taught semesters. The programme is not designed to give exemption from professional examinations (such as those covered by the RIBA/ARB) which are covered by other courses within the School of Architecture. In addition to the optional modules listed, students taking the MSc Sustainable Architecture Studies may select up to 30 credits of taught course units over the teaching semesters from other postgraduate course units in the School of Architecture with agreement from the Programme Leader. In consultation with a postgraduate tutor, students also choose two optional modules (15 credits each) aimed either to enhance understanding of a specific field of interest, or to develop the area of study in which the dissertation and/or subsequent PhD study will be based. The content of our courses is reviewed annually to make sure it's up-to-date and relevant. Individual modules are occasionally updated or withdrawn. This is in response to discoveries through our world-leading research; funding changes; student or employer feedback; outcomes of reviews; and variations in staff or student numbers. In the event of changes the University will consult and inform students in good time and will take reasonable steps to minimise disruption. Professor Steve Fotios, and Dr Chengzhi Peng plus guest lecturers and guest design review panel. Each year we attract excellent national and international postgraduate students to this School who all contribute to a socially vibrant and academically challenging environment. Here, our students share their reasons for choosing this programme and their experiences in Sheffield.